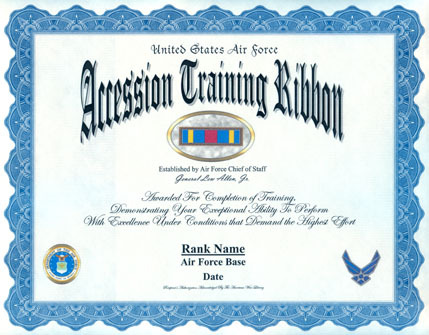 The Air Force Training Ribbon was established on October 12, 1980, by Air Force Chief of Staff General Lew Allen, Jr. This ribbon is retroactive without restriction. 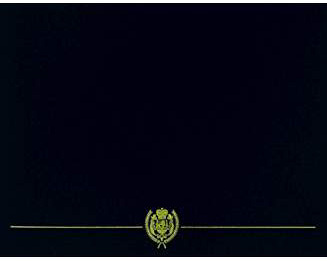 The Air Force Training Ribbon is worn after the Small Arms Expert Marksmanship Ribbon and before all foreign awards. This ribbon may not be worn on the Navy, Marine Corps, or Coast Guard uniforms. Completing later accession training (i.e., basic military training and then commissioning through a program) would entitle a service member to a subsequent award, which would be denoted by a bronze oak leaf cluster.